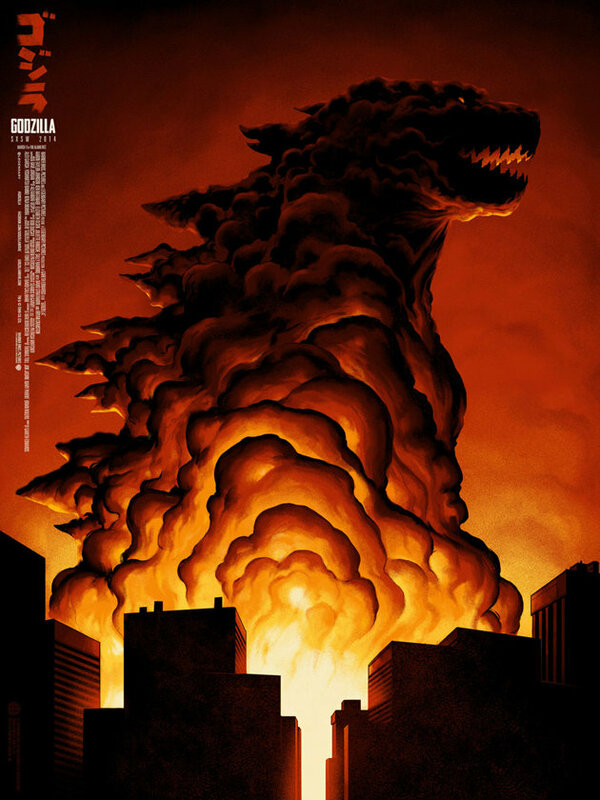 The king of all monsters is coming to this year’s SXSW festival, and to celebrate, Austin-based design studio Mondo commissioned an exclusive poster for the new big-screen version coming this summer. 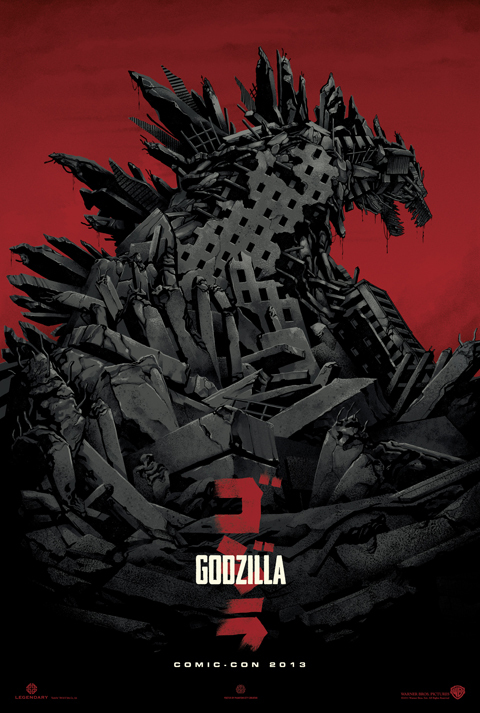 Designed by Phantom City Creative — who also created a special “Godzilla” poster for 2013 San Diego Comic-Con —it shows the big beastie literally rising out of the smoke of a smoldering city. The design of the new “Godzilla” is directly inspired by the classic look of the creature from the 1954 original movie. With that in mind, Gareth Edwards, the director of the new version, will be hosting a screening of the classic monster movie at the Ritz Alamo Theater in downtown Austin. The screening of the restored original Japanese version with 40 minutes not seen in the American edit is on Tuesday, Mar. 11 at 9:30pm, and attendees will receive a copy of the limited-edition poster. Check out the SXSW schedule for more details. The updated “Godzilla” starring Aaron Taylor-Johnson, Elizabeth Olsen, Juliette Binoche, David Strathairn, and Bryan Cranston, will stomp into theaters on May 16.